Integration of non-Christian indigenous communities was a main factor in not adopting a state religion. 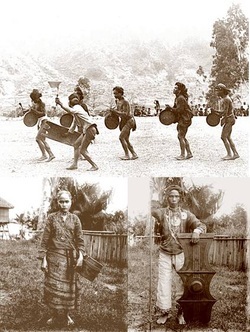 The commonality between the insulares, the two groups of mestizos and the indio principales would become more obvious towards the nineteenth century, as most of them would take advantage of the opportunities being provided by the economic transformations of the Philippines, and make them more and more culturally Hispanized. This did not augur well for the peninsulares, however, as they would normally block any attempts at the political ascendancy of these groups for fear of them being replaced as colonial functionaries in the archipelago. This was also because of the fear of the repeat that Spain had in the Latin American colonies where the Hispanized portions of the colonial population were the ones who led the separatist movements. The characteristics – of being politically powerless, though economically prominent and culturally Hispanized – would bind the insulares, the two groups of the mestizos and the indio principales into a major cluster. They would soon adopt the term ‘Filipino’ to refer to themselves, away from its original racial definition, with the term assuming a more pronounced cultural, economical and political definition. It must be pointed out that the term Filipino, even at the period preceding the outbreak of the Revolution, would still exclude the indio naturales that constituted the majority of the population of the archipelago. The cultural and ideological consequences of this divide would be felt with the emergence of the ilustrado (literally, enlightened ones) from this emerging Filipino community. Exposed to the liberal and republican ideas of the urban centers in Manila and Europe, the influence of the ideas of enlightenment, the Age of Reason, modernity and scientifism would create a fresh perspective on their appreciation of Philippine social realities of the nineteenth century. One must also take into account the types of ilustrados that would be borne out of this movement. The first one, with the case in point exemplified by Jose Rizal, Marcelo del Pilar, Graciano Lopez Jaena, Antonio, Jose and Joaquin Luna, Jose Ma. Panganiban, Mariano Ponce, Trinidad Pardo de Tavera, Felipe Buencamino and Isabelo de los Reyes, would be more urban-based, cosmopolitan, and had lived and been exposed to the conditions of Europe in general and Spain in particular. 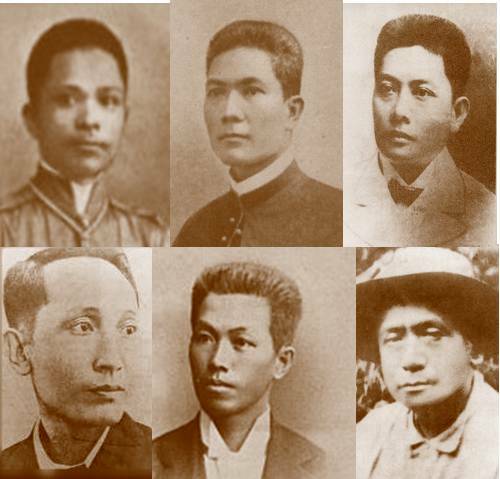 The second were the rural ilustrados exemplified by Emilio Aguinaldo, Santiago Alvarez, Apolinario Mabini, Ladislao Diwa, Artemio Ricarte, Gregorio Aglipay, Aurelio Tolentino and Emilio Jacinto – who would be exposed to the ideas of liberalism, enlightenment and rationality thru the local educational and academic institutions and would not have lived outside the Philippines all their lives. Most of those who belong to the second group would constitute the local leadership of the rural communities at the outbreak of the revolution. Majority of them would not have the experience of going to Spain or other parts of Europe, and their liberal tendencies were essentially obtained through their participation in the local movements. The two groups would inspire each other at the instance of the Reform and Propaganda Movement, as well as the founding of the reformist La Liga Filipina. More importantly, most of the individuals in the two groups would also be influenced, and would eventually be part of, the Masonic movement in the Philippines. The ideology of enlightenment, rationality and liberalism oriented towards republicanism and the respect of individual rights would be highly appreciated by the two groups of ilustrados, with a highly pronounced Masonic twist. Freemasonry would inspire the ilustrados to campaign initially for recognition and autonomy but the campaign would later evolve into one that sought self-rule, independence and self-determination. But the divisions within the ranks of the ilustrados – between rural and urban; local and cosmopolitan – would define the characteristics of the leadership of the revolution. These divisions would be highlighted in the challenges that the revolutionary government would face after the June 12 declaration of independence, and the formation of the Malolos Congress. Moreover, the entry of another colonial power – the United States - would prove significant in the determination of the outcome of the events leading to the declaration of the existence of the Republic. As a Legislature, it enacted laws for the Republic. The most significant acts of congress were concerned with the establishment of government institutions that would foster social development and cohesion. Foremost of this was the maintenance of elementary schools in every town, the establishment of the Burgos Institute that would serve as the national high school of the Philippines, and the creation, and eventual operation of the Universidad Literaria de Filipinas as the state university. The latter actually operated as a real university during the revolutionary period, conducting classes, maintaining a roster of faculty members, enrolling students and granting degrees. Aside from the educational institutions, the Congress also enacted laws and appropriated budgetary allocations for the establishment of the judiciary and the finance departments. Although the Malolos Congress was able to produce the historic document that would provide the framework of government for the revolutionary movement, its halls would also witness the intermittent, at times bordering on internecine, disagreements between the different camps of ilustrados. Mabini, the harbinger of local rural ilustrado leadership and ideologue of the revolutionary government of Aguinaldo would often come at loggerheads with the urban ilustrados represented by Paterno, Buencamino, Legarda and Araneta. Aguinaldo would oftentimes be caught in the middle of this conflict. He would initially be confiding mostly with Mabini, but the power struggles that would occur in Malolos would eventually pave the way for the victory of the Paterno and Buencamino group of urban cosmopolitan ilustrados. Such dispute would actually focus on how the government should be reorganized. Issues on whether the country was ready to establish a republic, or the exigencies of the anti-colonial war and the arrival of the Americans would merit the continuation of the existence of a revolutionary government under Aguinaldo. To Mabini, the Malolos Congress was established to act as a revolutionary advisory body to the President. But to the members of the congress itself, the Malolos Congress should go beyond that and should constitute itself as a constitutional body tasked to not only to legislate laws but to draft a republican constitution. These questions underlined the tensions that were brewing between the executive and the legislative branches of government and resonated the present issues of legislative-executive relations in the country. To Mabini and his followers, what was needed was a revolutionary executive cabinet whose major task was to ensure the viability of the republic. To Buencamino and Paterno, the viability of the republic could be guaranteed with the existence of a permanent commission of the Congress that could oversee the enactment of laws and could bypass the executive even while the Congress is not in session. Clearly, the young republic was being exposed to the power struggles and the tensions between the two ilustrado camps in their quest for presenting a viable alternative for the country. Another contentious issue was the role of the church in the new revolutionary dispensation. The delegates debated whether the government should recognize the church as the state religion against the position of another camp that calls for the separation of church and state. Eventually, consideration for the non-Catholic communities in the Philippines, as well as the fear of religious bigotry emanating from the establishment of a state religion (a reminder of the historical experiences of the Filipinos under Spain) became a primary concern that led to the adoption of the latter proposal, winning over the former. While not explicitly articulated, the members of the congress also anticipated the possible challenges that would confront the young republic in its quest for the redefinition of the nation and its formation as a national community if the Catholic religion would be adopted as a state religion. The possible federation with Moro communities in Mindanao and Sulu and the integration of indigenous mountain communities would obviously become an issue if a state religion based on Catholicism was to be established. This would have profound implications on the institution of the Philippines whether the government should be organized as having a federal or a unitary government. In all of these deliberations, Masonic principles would come to the fore in resolving the matters that confronted the framers of the Malolos Constitution. Debates concerning the separation of church and state were articulated by two masons, Tomas del Rosario and Felipe Calderon – with the del Rosario formulation on the separation of the church and state winning the approval of Congress with a margin of one vote. The idea of the separation of the church and state reflected the very principles of belief in the Supreme Being, but leaving the individual’s conscience, and not the powers of the State, as the determining factor in the decision to adopt a religious orientation. The constitution of a representative government in the articles on the executive, legislative and judicial branches of government put emphasis on the tendency for ‘anti-clericalism’ that defined the contours of Masonic ideas that inspired the revolution. The recognition of individual and national rights echoed the Masonic assertion of one’s own ‘free will and accord’. Truly, the heated deliberations and the controversial debates notwithstanding, what was achieved by the Malolos Congress was a feat for the Enlightenment and the achievements of enlightened men. Masons constituted the bulk of the revolutionary leadership. Both camps of rural and urban ilustrados were constituted of masons. The constitution that became the major document produced by the Malolos Congress would be ratified on 21 January 1899, integrating some of the suggested amendments proposed by Mabini but still retaining much of the proposition of Buencamino. Two days after the ratification of the Constitution, the Philippine Republic was inaugurated on 23 January. Aguinaldo took his oath as President of the Republic and the Constitution was publicly read article by article. The Armed Forces also took their oath of allegiance and loyalty to the Republic, its Constitution and its President. On this date, a new chapter in the history of the Philippines started. The country was no longer a European colony but an independent republic. Its people were no longer subjects of the Spanish crown but citizens of the republic. (See Aguinaldo’s closing message to Congress, Go to Library Archives. If the June 12 declaration of independence was inspired by Masonic ideals, and September 15 convening of the Malolos Congress guided by Masonic principles, January 23 the inauguration of the Republic was the actualization of all these ideas and principles being put to practice. No other institution in the Philippines today, save for the Philippine nation-state itself, can lay claim to being the historic progenitors of the January 23 Republic Day as the Filipino Freemasons. Unfortunately, the Republic will be short lived, for war would break out against the American enemy forces by 4 February 1899 and the Aguinaldo government would transfer its headquarters as it moved towards safety in the north. He would be captured by the American forces in Palanan, Isabela on 23 March 1901, while Apolinario Mabini would be exiled to Guam with other revolutionaries Artemio Ricarte and Melchora Aquino, among others. With the advent of American occupation, this divide would be more manifest as the two ilustrado groups would jockey for supremacy and would take different paths regarding the new colonizers. The rural, local ilustrados led by Emilio Aguinaldo, Apolinario Mabini, and Artemio Ricarte would remain staunchly anti-colonial and would position themselves in antagonistic position against the Americans. The urban ilustrados of the group of Pedro Paterno, Trinidad Pardo de Tavera, and Gregorio Araneta would be co-opted by the new colonial dispensation. Most of them would be appointed in the American colonial establishment as part of the Philippine Commission. All of them would participate in the elections under the pro-American Federal party that would be rejected by the electorate in favor of the Nacionalista Party in the 1907 Philippine Assembly elections. A new page in the history of Philippine revolutionary struggle would begin with the arrest of Aguinaldo, the exile of Mabini and the cooptation of the Paterno group to American imperialism. A new form of struggle, thru the guerrilla warfare would be launched by the remnants of the republic, led by Macario Sakay, Luciano San Miguel, Faustino Guillermo and Felipe Salvador – who would all be branded by the enemy forces of American imperialism, and its colonial revisionist interpretation to history - as bandits and criminals. The history of the Republic would take a different path altogether.